One of the many problems that come with being a poor university student is that it can be incredibly hard to find cheap things for lunch that aren’t instant noodles (and believe me, I’ve had enough instant noodles recently to last me a lifetime), so I decided to bake some savoury muffins that we could eat for lunch over the coming week. I got my cookbooks out and searched for a suitable muffin recipe but, to my surprise, there wasn’t one. Yeah. 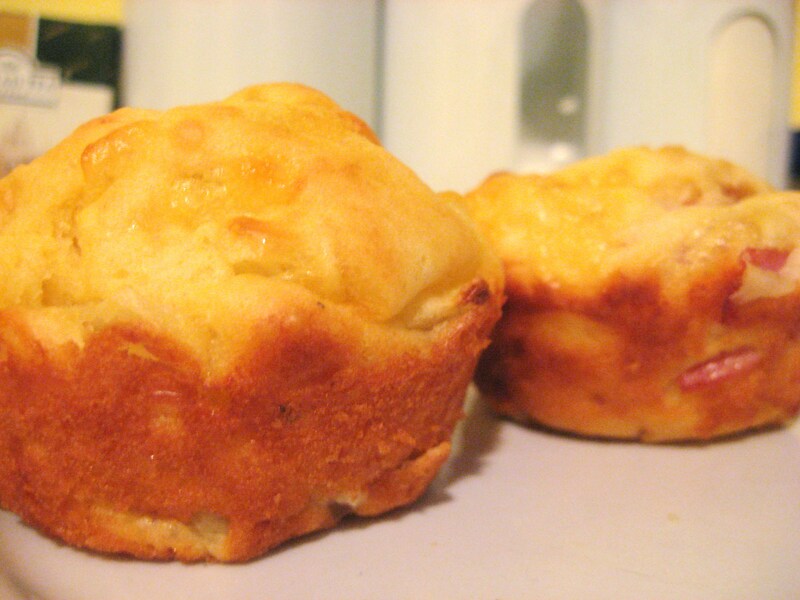 After dithering for a while, I pulled myself together and adapted a recipe for cheese, bacon and creamed corn muffins that I found in the Edmonds Food for Flatters cookbook. 2. In a large bowl, sift together the flour and the baking powder. 3. Make a well in the centre, and add the eggs, milk, salt and pepper. 4. Mix until just combined. 5. Stir in cheese and onion. 6. Fill the muffin tins about 3/4 full. 7. Bake at 190c for about 20 minutes. Use 200g of chopped ham instead of the onion. May 11, 2008. Tags: cheese, ham, muffins, onion, savoury. Baking, Cheese, Ham, Muffins, Onion, Savoury. 2 comments.